On the occasion of the Spring Festival approaching, Jan. 22, Assistant General Manager of Guangzhou Pharmaceutical Group, Chairman and General Manager of Baiyun Mountain Mingxing Company, Li Hong, Vice President of the Trade Union Department of the Group, Prof. Huihui Hu, Deputy General Manager Huang Wenye, Gao Jiansheng, Secretary of Commission for Discipline Inspection, Trade union chairman Chen Ping and other leaders led the Conghua City Aotou Town Dadu village to carry out the Spring Festival condolences. All party branches and members of the Communist Youth League sent condolences to families of poor households in five teams to send condolences and give them sincere wishes in the spring. 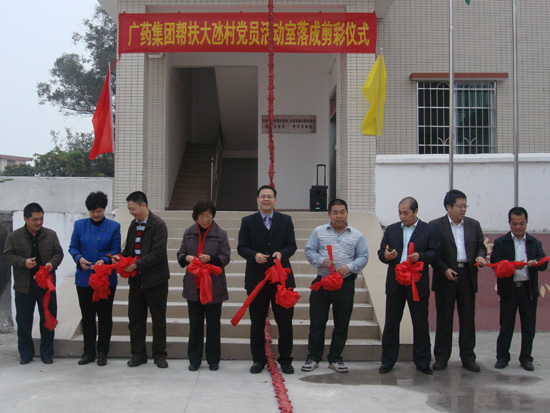 First of all, the leaders and guests present took the ribbon-cutting ceremony for the party room of Dapa Village. Subsequently, President Li and his party held informal discussions with Conghua Rural Poverty Alleviation and Development Task Force, Poverty Alleviation and Development Office of Aotou Town, village party committee, party members and presidents of Dadu to exchange ideas. 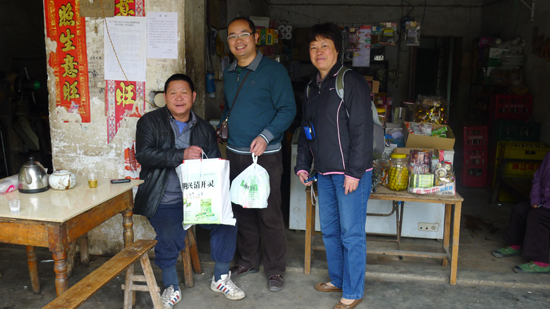 Li Dong said that helping the poor is not only a task, but also forging a profound friendship with the Dapu Village. 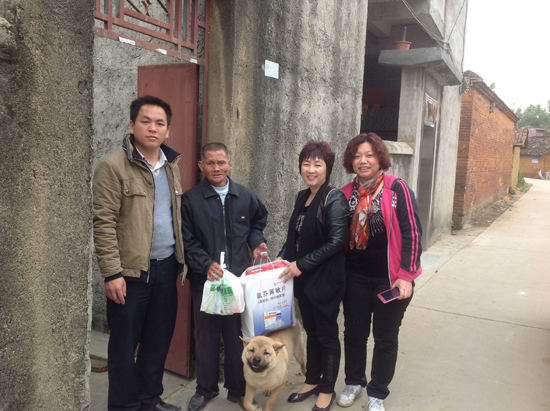 Let us change from being unfamiliar to being a family, giving some gifts and improving village appearance, village appearance and health status , Helping the collective economy in the village and helping them move toward a healthy and beautiful life step by step. "We are very gratified that enterprises can make some returns to the society while they are developing." He said that helping the poor is not only a matter of material inputs, More importantly, "hematopoiesis", so that they feel social care, warmth, mentally inspired. Li Dong emphasized that while developing economy, the Company pays more attention to cultural construction. When repaying society, employees participate and mental outlook is further improved. Although the task of helping the democratization is coming to an end, we will continue to carry forward the love. 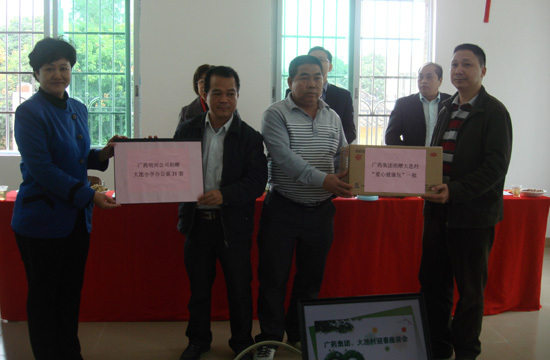 At the event, GPHL donated a number of "health care packages" to Dapa village and Ming Hing Company donated a batch of office desks to the Taipa primary school. 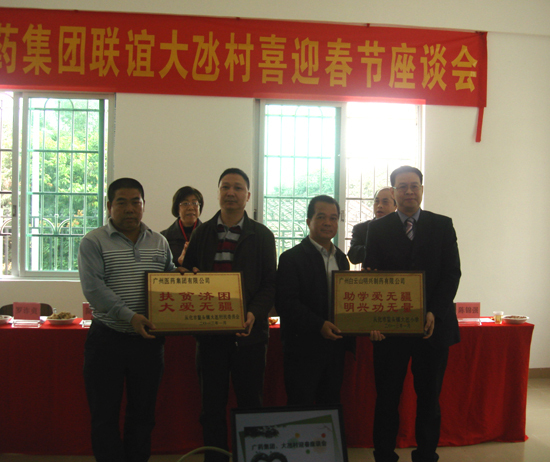 The Dakota Village Party Committee and the Taipa Primary School expressed gratitude to GPHL and Ming Hing for their gift back.